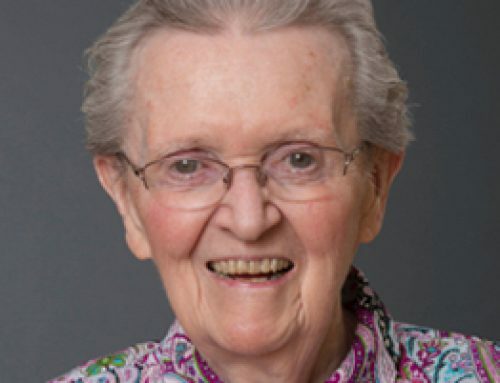 We, the Sisters and family of Sister Ellen Donovan, a Sister of Charity, sadly announce her passing on January 27, 2019. She was surrounded by much love with the Sisters and family by her bedside at the Cape Breton Regional Hospital, Sydney. Born in Glace Bay, she was the daughter of the late George Michael and Jean (Poirier) Donovan. She attended St. John School, St. Anne’s High School and NS Normal School. 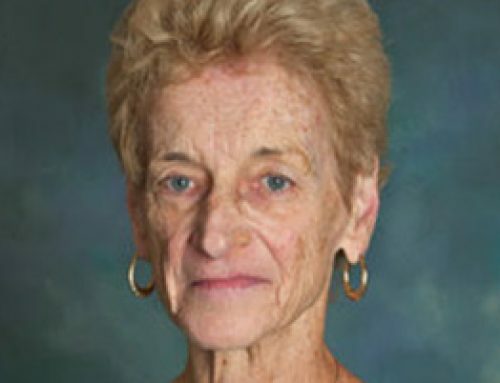 She taught for a few years at St. John School before entering the Sisters of Charity. She entered the Sisters of Charity in 1957 and was professed in 1959. 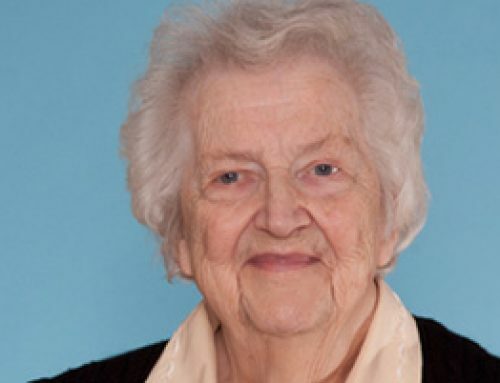 She was active in many ministries teams and committees including, teaching summer school, pastoral work, choir, massage therapy, work with the Diocesan Team, vocations, social justice, and associates. In recent years, she was involved in Peace Quest Cape Breton, Charity Associates, Coal Town Chorus, Family Violence, Victims of Sexual Abuse and Trafficking, Global Concerns, Diocesan Vocational Committees, massage therapy and reiki. 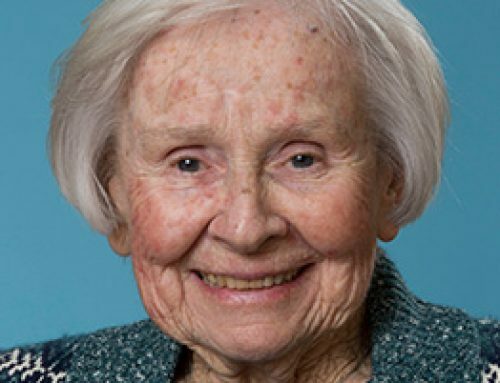 She did not hesitate to share her many gifts and carried out her ministries wherever she was asked – Halifax, Micmac, Bahamas, Port Hawkesbury, New Waterford, Victoria Mines, and Glace Bay. She had a love for her friends, for the poor and for those suffering in anyway. 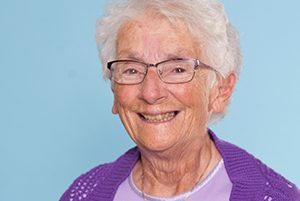 Sister Ellen is especially known for her great love for her family, musical talents, her great love of the ocean and her desire to make the world a better place. She is survived by her religious family, the Sisters of Charity; the Charity Associates; her brother, Blaise; her sisters, Jean Doherty, Patricia (Tom)McDonald; her godchildren, Amanda and Jamie; many nieces, nephews, grand nieces, grand nephews and many friends. Besides her parents, Sister Ellen, was predeceased by her sisters, Mary, Margaret (Bob) Barrett and Rita Mullins. Visitation will be held Tuesday, January 29, 2019 from 2-4 and 7-9 p.m. at T. J. Tracey Cremation and Burial Specialists, 370 Reserve St., Glace Bay, NS, (902-849-4199). 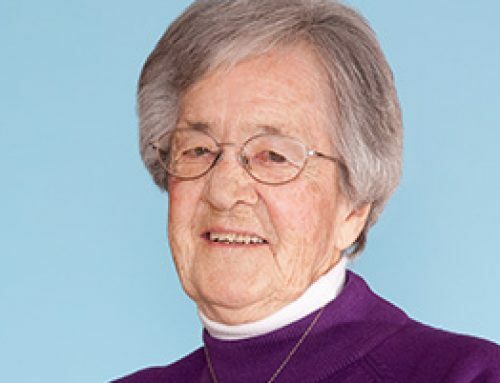 A celebration of Sr. Ellen’s life will be held at Holy Cross Church, Glace Bay, 3 p.m. Wednesday, January 30, 2019 with Fr. Norman MacPhee presiding. A reception will follow in the church basement. Burial will take place in the Sisters of Charity plot in St. Anne’s Cemetery on Wallace Road. Family flowers only. In lieu of flowers, donations may be made to the Sisters of Charity Ministry Fund at Caritas Center, 215 Seton Road, Halifax, NS, B3M 0C9 or a charity of choice. Sr. Ellen was a Gem; She reached out to all….rich, poor, various races and religion. God rest her soul.